Source: I received a copy to facilitate my review. 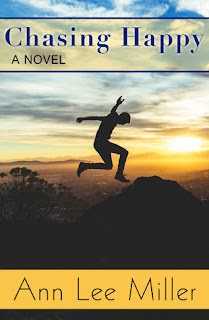 After an epic fail in the hetero world, Ash Jackson heads cross country to Arizona to figure out his bisexuality and make peace with himself and God. I really enjoyed this book. Ash's father walked out on his family when Ash was in sixth grade. He had announced he was gay. This was horrible for Ash. Later on in life he fears he is gay. Since he was a small child he has loved Samma. Samma has loved him. She is engaged to Storm. She has always felt she was supposed to support his campaign with the money she earned from her concerts. What happens when you are no longer sure what God wants? This author is definitely not afraid of subject matter that most will not talk about. Learning not to be judgmental and let God do the judging is a lesson most Christians need to learn. This book came at they right time for me. I have a good friend who recently ann0unced they were gay. My first gut reaction was to pass judgment. I worked hard, prayed a lot asking God to help me not judge and to be a friend. This book should be read by both Christians and nonChristians. I am pleased to recommend this book.